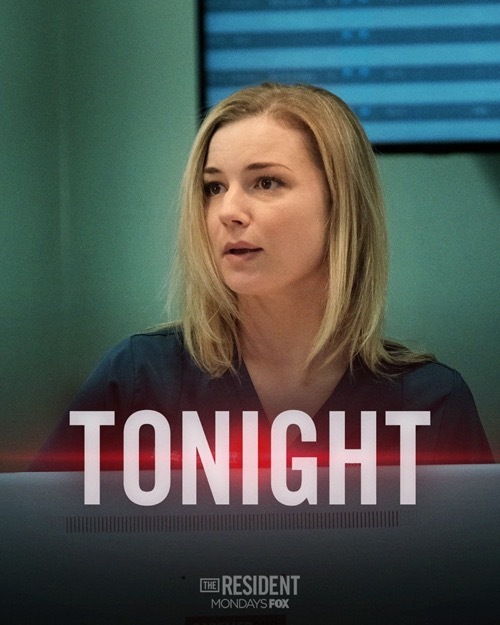 The Resident season 1 episode 5 airs at 9 PM – 10 PM ET on FOX. Make sure to bookmark this spot and come back for our The Resident recap! While you wait for the recap make sure to check out all our television recaps, news, spoilers & more! Mina comes home. It is dark out. She yawns as she walks to her house. A young kid comes out of the shadows and pulls a gun on her. She knocks him out quickly and drives him into the ER. He is unconscious. Conrad meets with his father at a coffee shop. Conrad wants to know why he is here. His dad wants to start over. Conrad chuckles. He tells his father he doesn’t want anything to do with him or his greed. He gets up and leaves. Mina tells Conrad and Irving she doesn’t want to press charges against the kid who tried to mug her. Lane and Devon tell Lilly Lane has good news for her. Nic pages Devon. She pulls him aside and asks him to keep an eye on Lane. She thinks she is committing insurance fraud. Devon asks Nic if she’s letting her personal dislike for Lane cloud her judgment. Conrad meets with a patient who has an ankle injury. He suffers from chronic digestive pain. He looks malnourished and he doesn’t want to take part in any more tests. Conrad tells him his body cannot handle the stress of being a ballet dancer anymore. He wants 24 hours to figure out how he can help him. Conrad sees Nic. He wants to know if she liked the grits he brought her. She gave them to Irving. Mina’s mugger suddenly explodes with anger. They rush to him and sedate him. Bell talks to a colleague about a friend of his who has the shakes. Nic calls the father of the mugger. His father won’t come get him. Nic hangs up the phone. Jude comes to see her. He found her necklace. As he places it around her neck, Conrad notices from across the room. Nic sees him. They exchange looks. Devon comes running up to Conrad. He needs him now. Conrad walks to his patient’s room. His superiors want to know why he isn’t treating the dancer. Conrad is waiting for his medical records from New York. His superior tells him he is no longer treating him. He needs to step aside. Nic tells the mugger that his parents aren’t willing to come and get him. After her shift, she walks out to the parking lot with him. She plans on giving him a ride until Mina sees them. She cannot believe Nic would put herself in this kind of danger. She is going with them. Conrad tells Lane about losing his patient. She sympathizes with him. Jude interrupts Conrad and Lane; he is on board with treating Conrad’s patient with painkillers. Conrad walks away. Devon is pushing Lilly in the hospital. Lilly is quiet. Devon asks her what she is feeling. She tells him she is scared about her bone marrow transplant. Devon listens to her talk about how she wants to have kids one day, her fears about all the things that could go wrong. Mina meets with her mugger’s parents. His mother has given on him. She walks away from Mina and Nic. The two of them leave the mugger with his dad. Mina asks Nic how she knows so much about hitting rock bottom. She tells Mina her sister. Devon asks Lane’s nurse to perform a full panel on Lilly. The nurse tells him that they already did that a while ago. He demands a new one. Conrad is paged to the room of his dancer. They paged Wilmont, his new doctor who took the case from Conrad, but he didn’t answer. Conrad tracks down Wilmont who doesn’t want to deal with Conrad or the patient. Nic and Mina are walking and talking while they drink coffee. Mina asks Nic about her and Jude. Nic tells her that they are just becoming better friends. Mona gets a call. She needs to get home right away. Devon comes to Conrad. Wilmont wants him to put a tube down the dancer’s throat. Devon doesn’t like the idea. Conrad heads to the patient’s room and hands him his clothes. He tells them both that if Wilmont can’t find him, he cannot run the test. Nic follows Mina into her home. Mina is in such a rush she doesn’t see her trailing behind. Inside, a man and his daughter are there. The daughter is in pain. Mona begins treating her in a makeshift hospital room she has set up. Nic comes in and offers to help. Mina tells her to get to it. Conrad and the patient hide out in the waiting room. Conrad wants to just talk over coffee and hear about his history. Bell meets with a prestigious medical figure who commends him for being Chief and running a tight ship. He asks Bell about the hospital’s error rates. Bell’s hand starts to shake. He grabs it and holds it still. Nic and Mina talk. Mina is helping those in her community that cannot afford care. Nic warns her she could get into trouble. Then she won’t be helping anyone. Conrad sees Lane and his father coming through the waiting room. He turns as they walk by. His patient laughs. They compare notes on their terrible fathers. Something his patient says makes Conrad think. He begins asking questions. Devon looks at the full panel. It looks like Lilly is in acute renal failure. How did they miss this? Lane meets with Devon. She promises whoever missed these results she is going to have fired. Conrad watches as his patient undergoes a procedure. His shares that he is feeling pain-free for the first time in over a decade. He begins to cry. Outside, Wilmont grabs Conrad by the arm. He tells him that he thinks he is so smart. Conrad laughs at him and tells him if he doesn’t move his arm in 3 seconds, he is going to be in the ER. Conrad’s father tells Claire and Bell that he will not be investing in their hospital. Before he walks away he divulges that Conrad is his son. Devon waits for Nic. He tells her all about what happened with Lilly. He cannot believe this has happened. Lane played it all off like it was someone else’s error. Conrad’s father shows up to see him in the hall. He tells Conrad that his visits are for recon. He plans to open his own hospital and he wants Conrad to run it as soon as he finishes another year. Conrad smiles in disbelief. His dad tells him to call when he is ready. Conrad walks away. He sees Nic who asks him who he was just talking about. He tells her that the man is his father. He tries to walk away but she wants to know if they are going to talk about it. She tells him not to shut her out. There is nothing between her and Jude. He tells her she made it clear they were over. It is on him. He walks away. She lets him go.